The Scream Queen co-stars have called it quits after eight months of dating. 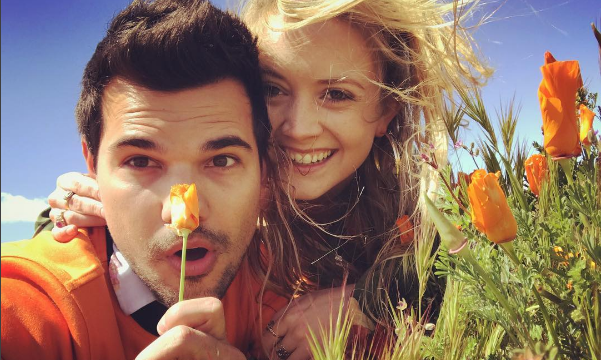 Taylor Lautner and Billie Lourd started dating last December and posted many adorable photos together. According to EOnline.com, Lourd’s uncle Todd Fisher shared that Lautner acted like a supportive husband while the family grieved over the loss of Lourd’s mother Carrie Fisher and her grandmother Debbie Reynolds. Fans recently began questioning their celebrity couple status once Lautner was seen celebrating the Forth of July solo. Lourd has recently deleted photos of their celebrity relationship on Instagram, while Lautner still has many photos on his account. No comments from the stars have been made addressing why they split. It sounds like Lourd’s family could be sad over this celebrity break-up. How can you share the news to your family about your recent break-up? 1. Be honest without oversharing: Let them know your side of the story without sugar coating any details. It’s always good to be honest with your family because it will make them understand what you are going through! You are allowed to leave some minor details out, because some quirks in your relationship should be between you and your ex. 2. Advise your family on how to respond: Tell them how you would like them to act during this time. Their first reaction might be to be spiteful towards an ex. Advice them to be silent on the issue or optimistic about your future love life. This will set the overall tone on how they will respond to your break-up! 3. Ask them not to bring up past memories: Your family may have loved or hated your ex, but let them know right now is not the best time to recall past memories of the relationship. You probably have been overthinking your break-up as is, so having a family member put in their two cents doesn’t help the situation. Ask them to not bring up your ex until you are ready to talk about old memories. Do you think this celebrity couple will get back together or do you think their relationship is officially over? Let us know in the comments!